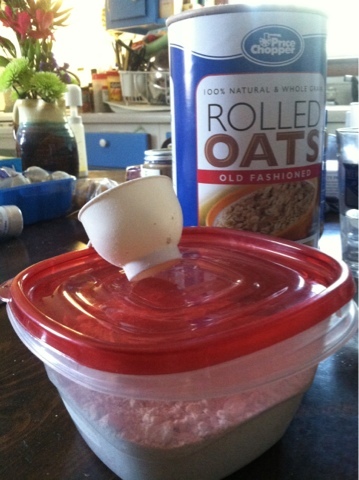 Who knew making homemade oatmeal bath is this simple?! Using rolled oats (old fashion) & working in small batches, grind. 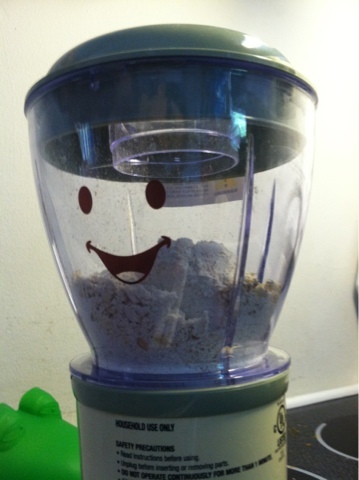 I used the milling blade on my baby food processor. Oatmeal bath for less than pennies! I make a big batch for my son's baths and store in an airtight container. Works great for eczema, diaper rashes and itchy skin.